Irish Australian outlaw Ned Kelly led one of the most spectacular outbreaks the tradition has ever experienced, culminating in a siege at Glenrowan on June 28, 1880. Donned in homemade metal armor and a helmet, he was captured and sentenced to hang at the Melbourne Gaol in November. Immortalized in a series of onscreen productions, he has since become one of the most resilient screen presences in the history of Australian cinema. 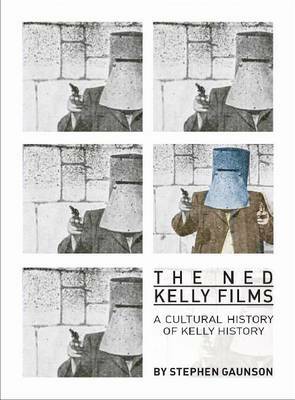 "The Ned Kelly Films" recounts the history of this presence, covering the nine feature films, three miniseries, and two TV movies that have been made about this controversial character.Providing a comprehensive overview of these productions and their reception, Stephen Gaunson illuminates a central irony: From dime novels to comics to the branding of the site where he was captured, most cultural representations of Kelly are decidedly lowbrow. But only the films have been condemned for not offering a more serious interpretation of this figure and his historical context. Parsing the assumption that films about Kelly should do more than broadcast the sentiments of his fans, Gaunson explores why historical films have a reputation as a form of bad culture. Asking what value we can place on such bad historical cinema, he offers new insights about the textual characteristics of cinematic material and the conditions of film distribution, circulation, and reception."